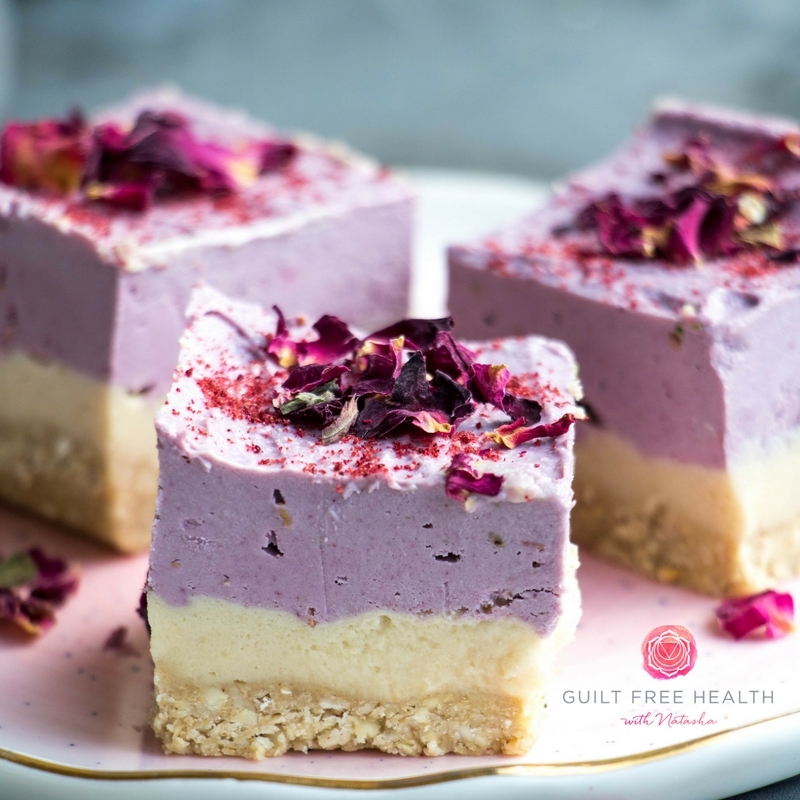 This raw cheesecake uses soaked cashews as a dairy alternative to create a raw, vegan cheesecake for you to enjoy at home. To make the cheesecake base, add the cashew nuts into your food processor and pulse these on their own for a few seconds to form a fine crumb. Now, add in the rest of the base ingredients and blend until everything is well combined. ]Pour the crumbly mix into a dish or line container nd firmly pat everything down until smooth. Pop this into the freezer to firm up whilst you mix the filling. Drain and rinse the cashews and add them into a high powered blender (e.g. a Vitamix) or food processor with the rest of the filling ingredients- apart from the berries, and blend until really smooth and creamy. Take 1/3-1/2 of the mixture and spread this over the base and return the cake to the freezer. Add in the raspberries to the rest of the cashew cream and continues to blend until completely smooth and there are no chunks of berry left. Spread this on top of the vanilla layer and place the cakes back into the freezer for 2-3 hours to set (or overnight). Slice into portions and decorate however you like, enjoy!